Established in 1928, Farsons was the first brewery to be established on the island, in the town of Hamrun, near the capital city Valletta. The brewery’s first beer was Farsons Pale Ale, brewed to meet the preferences of the British garrison and navy stationed in Malta at the time. In the same year and a short distance from the Farsons brewery, the Marquis John Scicluna, whose family had established the first privately owned local bank, opened the Malta Export Brewery. 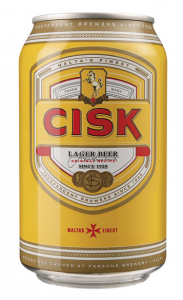 While Simonds Farsons Ltd had been granted the licence to brew ales, the Malta Export Brewery was granted a temporary exclusive licence to brew Bavarian-style lagers under the names Cisk Pilsner and Cisk Munchener. Following twenty years of rivalry, the Malta Export Brewery merged with Simonds Farsons Ltd in 1948 to form the company Simonds Farsons Cisk Ltd which is still the principal brewer on the island today.